Fankboner, Peter V.. "Whelk". The Canadian Encyclopedia, 31 July 2018, Historica Canada. 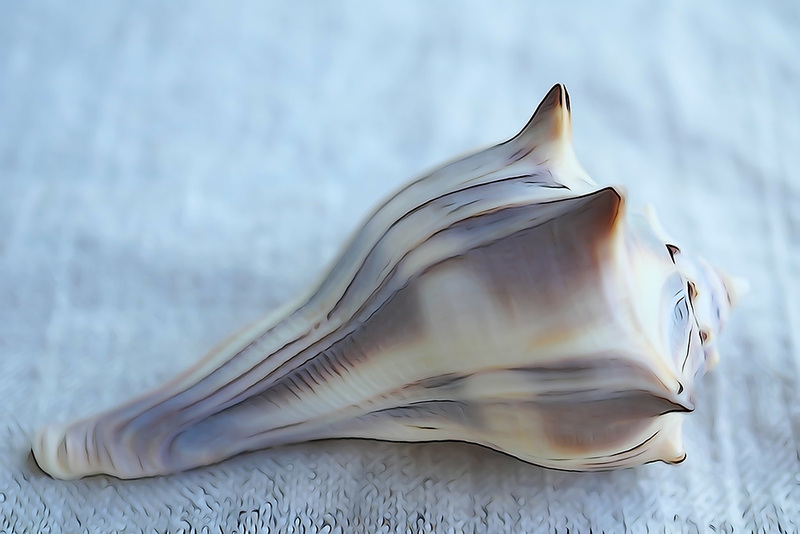 https://www.thecanadianencyclopedia.ca/en/article/whelk. Accessed 22 April 2019. Whelkis the common name for a carnivorous marine snail which may be included with the Buccinid, Muricid or Purpurid families. Whelk is the common name for a carnivorous marine snail which may be included with the Buccinid, Muricid or Purpurid families. 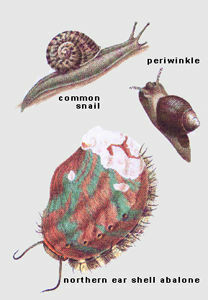 Whelks are advanced prosobranch gastropod molluscs possessing a heavy, spindle-shaped shell with a siphonal groove. 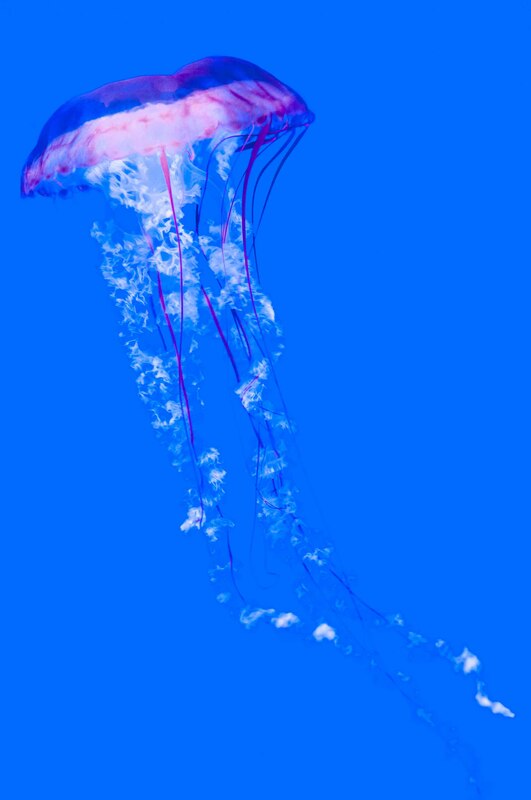 Arising from the latter is a sensory siphon that whelks use for the detection and tracking of prey. Several muricids are pests on oysters and, because of this, their biology and control have been extensively investigated. The Eastern oyster drill (Urosalpinx cinerea) and the Japanese oyster drill (Ocenebra japonica) have caused extensive damage to East and West Coast oyster fisheries, respectively. Oyster drills employ an auxiliary boring organ, located in the foot, to perforate the shell of their prey. The organ secretes enzymes that dissolve the organic matrix of the oyster's shell causing it to collapse, a process analogous to the collapse of a brick wall when mortar is removed. The proboscis bears a small, toothed feeding organ, a radula, which is inserted through the shell hole to feed on the victim's flesh. Separate sexes occur and copulation leads to production of lidded egg cases. 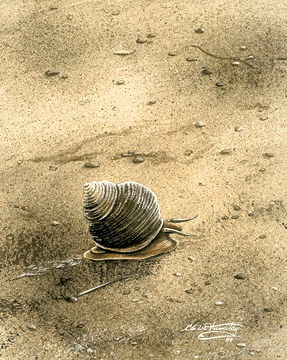 Cannibalism within the egg cases results in the emergence of a few vigorous snails.